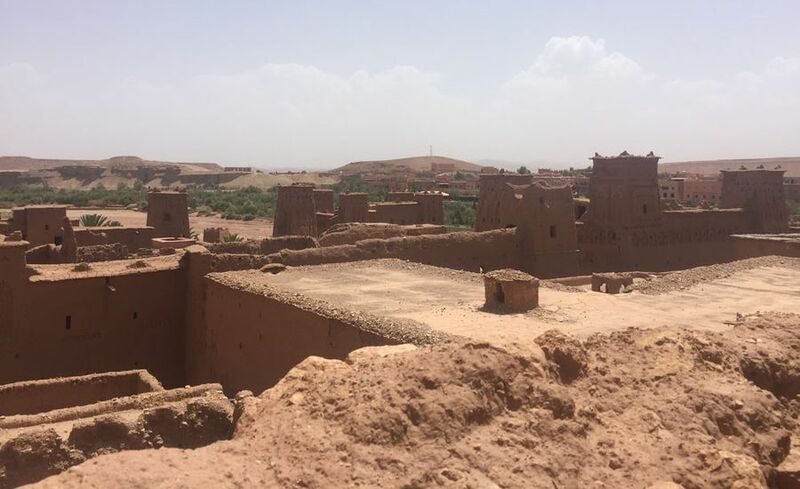 ouarzazate and ait ben haddou kasbah. 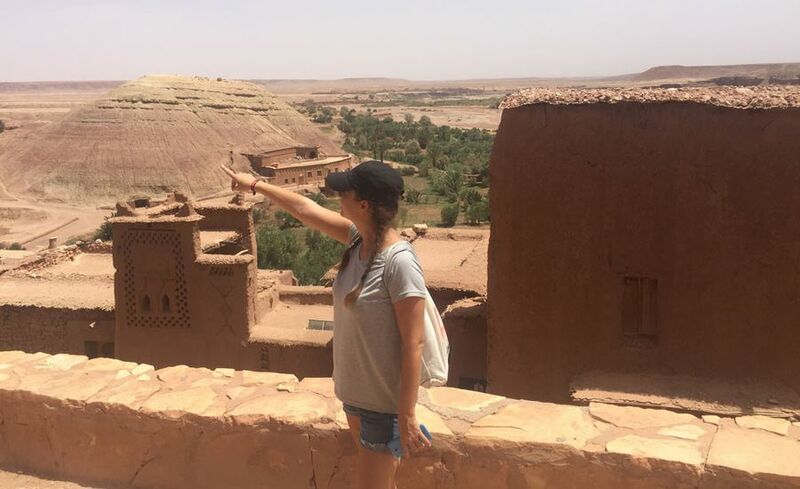 This small-group tour includes all the necessary entrance fees plus Marrakech hotel pickup and drop-off fee. 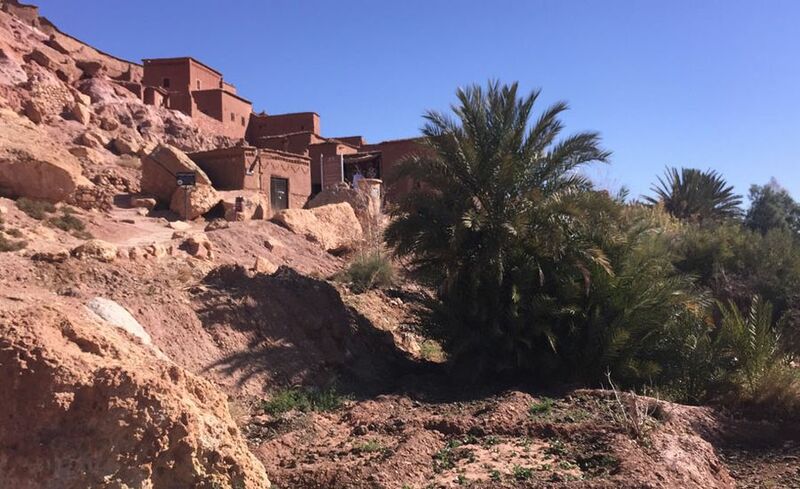 As you reach the far side of the mountains, the landscape changes dramatically becoming semi-arid and desert-like. Arriving to OUARZAZATE, as the Moroccan Hollywood because of the famous films which have been shot there, including the “Diamond of Nile”, “Lawrence of Arabia”, “kingdom of heaven”, “the Mommy”, “Gladiator”, “7 days in Tibet”, “Alexander the GREAT”, “Babel” ,”Game of Thrones”... You can visit the TAOURIRT Kasbah, classified by UNESCO as a world heritage listed site. We can stop at the cinema museum for a short break. 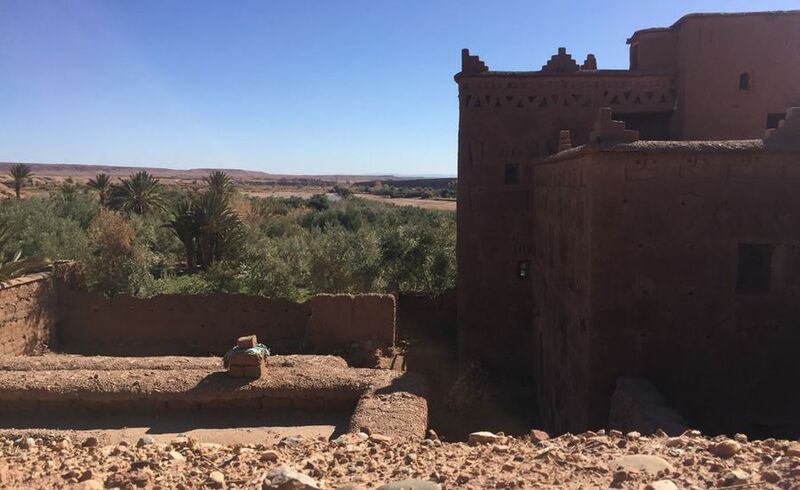 After visiting OUARZAZAT, you will then journey onward through some of the most beautiful valleys to the ancient Kasbah of AIT BEN HADDOU, which is also a UNESCO world Heritage listed site. 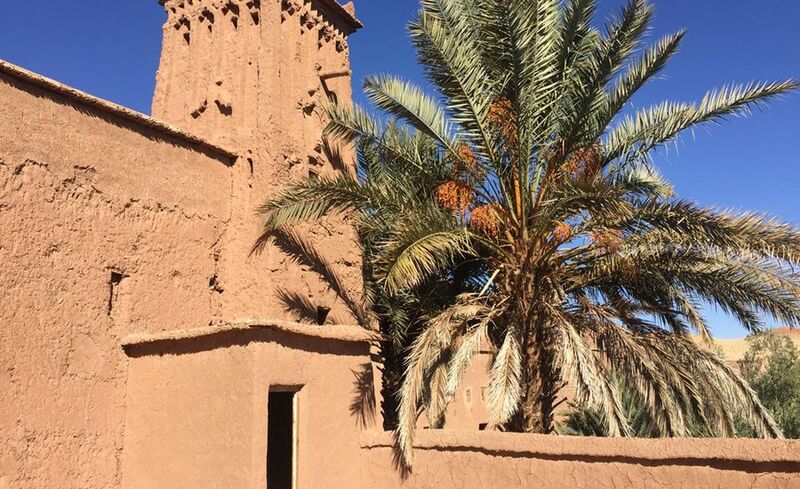 You will get to explore the Kasbah with its unique architecture, adorned with grill shaped windows and soft peach coloured walls. 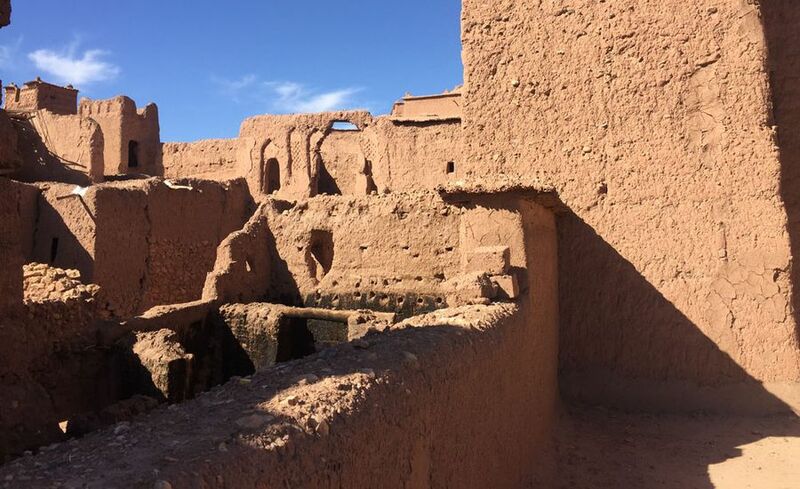 These traditional houses are made of adobe; a highly suitable material for the climatic conditions of the south. It is recommended to prepare ahead necessary clothing for weather and temperatures changes.